OK, this one is just for fun. I cannot wait for the new season of fishing shows each year, so I can see the new Rapala commercials! Here is my “Roger Ebert”/Olympics review of the best Rapala commercials of all-time. This year’s entry is a pretty good one . . .
First a couple of commercials that deserve honorable mention . . .
Who wants to be my net-man? And now, without further ado, winning the bronze medal . . . In the silver medal position . . . Finally, in first place, taking the gold medal . . .(insert Clark Griswold drum roll) . . . I have never handled a river otter, but I imagine that if you did it would be just as out of control as the river otter in that commercial. It just kills me that the river otter and the fisherman both jump into the water using the same form. Now, I am not doing this as a product endorsement. I am not sponsored by anyone, not paid to promote anyone or any product. But you know what? 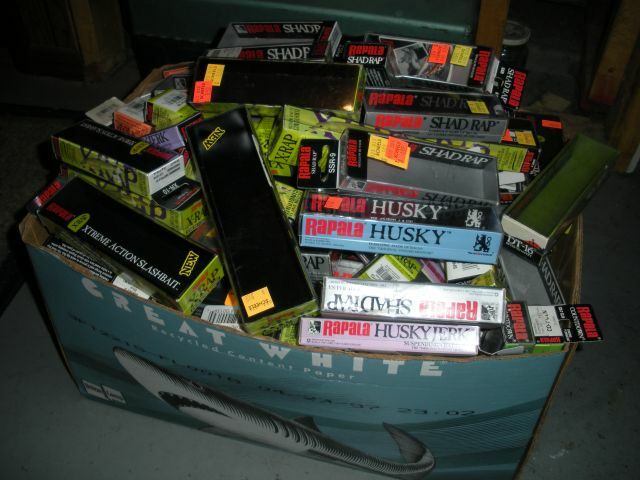 I probably should own stock in Rapala and not just because I like their commercials . . .
For some reason I have saved the boxes from lures I have purchased; never know when you might need a box for something. Ha. Looks like I have bought a few Rapalas over the years. How funny! You made my day!!! Great selection of commercials (that I’ve never seen). Love ’em! Those guys at Rapala do a GREAT job with marketing, maybe none who do it better.